I had an epiphany the other evening while eating dinner with my girlfriend. It just came to me out of no where. It happens quite frequently. Food combinations and ideas enter my thoughts at the weirdest moments; usually, it happens in my dreams. It’s as if a little conversation bubble pops up, like the ones you see in the Sunday comic section. This time, it happened while I was eating a chicken fajita and drinking a margarita at my girlfriend’s birthday dinner. Naturally, I blurted out the idea as soon as it penetrated my thoughts. Being a foodie as well, my girlfriend thought the idea could work, so we began discussing how to execute the recipe. This smoothie tastes just like bananas foster. It’s creamy, frothy, and delicious. The bananas get caramelized in brown sugar and a small amount of butter before it goes in the blender with the other ingredients. In a nonstick pan, melt butter. Add the banana and brown sugar. Cook for about 30 seconds, until the sugar is melted and the bananas are slightly soft. Take off the heat and cool to room temperature. 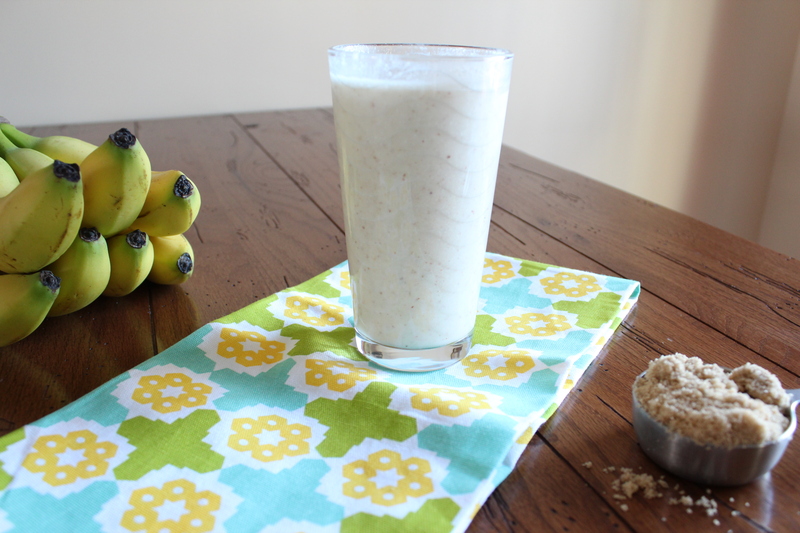 When the banana mixture is cool, add it to a blender with the remaining ingredients. Blend until smooth. Serve right away. Enjoy. This is absolutely brilliant, Jennie! YUM! I’ve just started tackling smoothies in an attempt to eat more fruits and veggies. This looks like the perfect type of combo for me! I can’t wait to buy bananas! 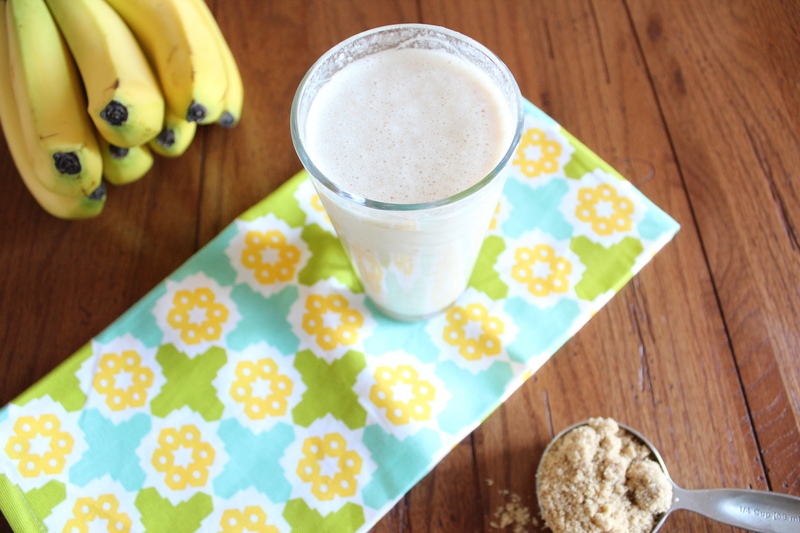 It’s hard to beat a good fruit smoothie for a healthy treat, and banana is always a favorite of mine. I love bananas foster! I love that you put it in a smoothie form! Definitely part of a good breakfast/dinner/midnight snack no? I love Bananas Foster! Now I can call it breakfast! Thanks for the great recipe and the FB friend request!